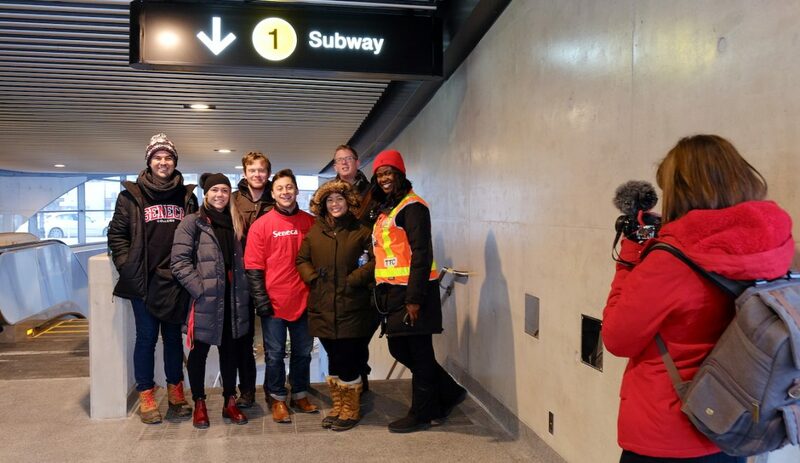 Sunday, December 17th, 2017, marked the opening of the York University Subway Extension. 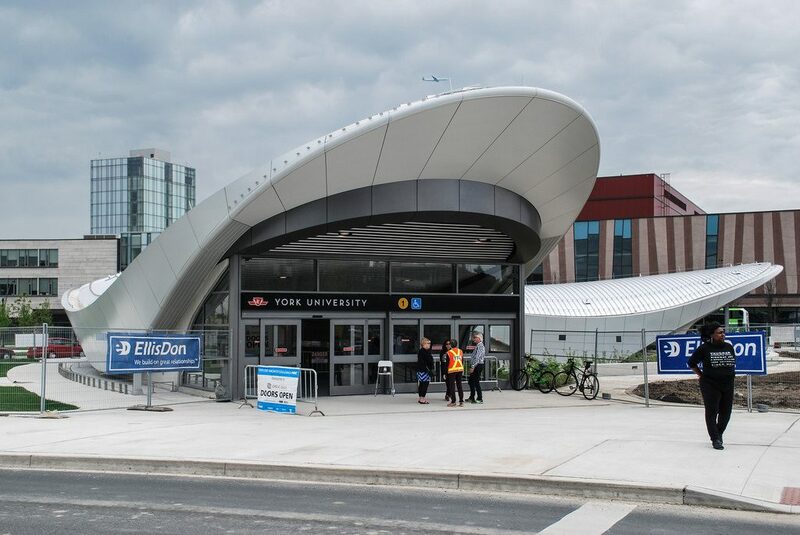 The new stop connects York University, as well as the bustling Seneca @ York Community to the heart of Toronto through a 14 minute ride. This momentous occasion was celebrated by students, alumni, media and frequent commuters alike. Dr. Rebecca Pillia Riddell, York University Research Chair in Pain and Mental Health, took her two daughters along for the first official Southbound train to Finch West station early Sunday morning at 7:56 a.m. “I had to offer muffins for their [daughters] attendance, but I’ve been waiting 25 years for this to happen.” Dr. Pillia Riddell completed her undergraduate degree at York University and wished for the quick and convenient commute that is not offered with the extension. 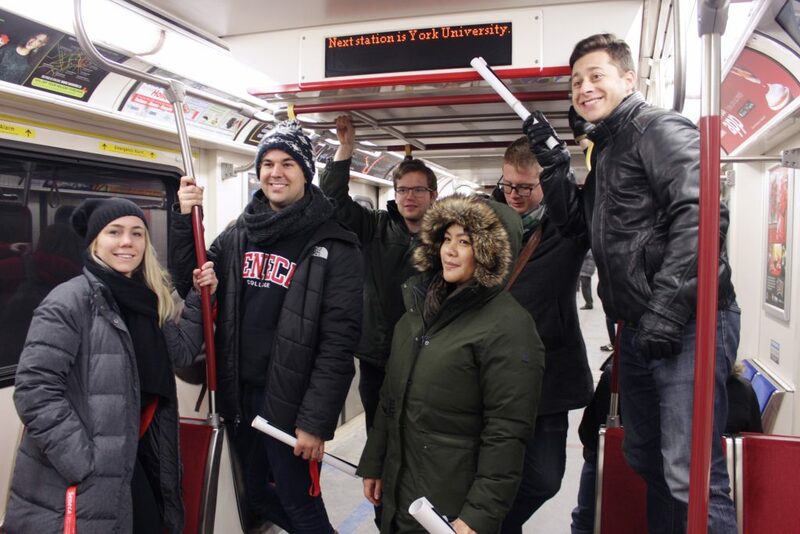 An easier commute is the selling point for a lot of students and they are excited to be able to avoid the streets and buses by taking it underground, where snow does not play a factor. 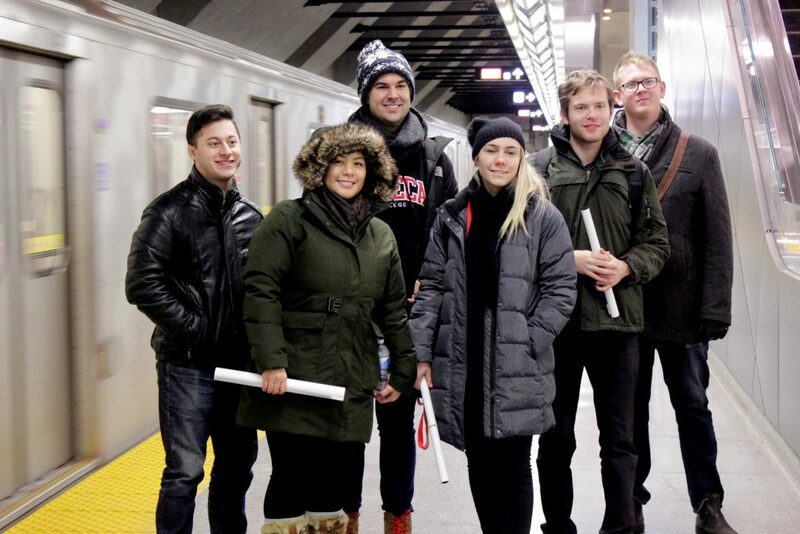 Post-graduate students in the Public Relations-Corporate Communications program at Seneca@York had the opportunity to take part in the first southbound train experience, as well. They woke up dark and early to take part in this historic ride, knowing that this has been years in the making and it is long overdue. We also got to spend the morning with our professor, David Turnbull, so it was a win-win. This expansion has been in the works for many years, but was delayed due to construction issues and budget restraints, so many people thought it was just a grand idea, but would never be implemented. Originally proposed in 1985, the completion was scheduled for 2015, but due to a variety of factors was delayed two years to be launched at the end of 2017. The overall tone at the official grand opening was so upbeat, cheerful, and appreciative. 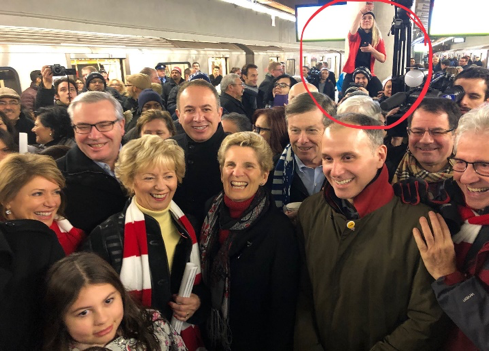 Every person walking through the doors and down the stairs had smiles on their faces and were being greeted by eager TTC employees, who we must say were remarkably friendly and so much fun at the launch. We spoke with Shelly Dunbar, an employee of the Toronto Transit Commission for 18 years, about this overall experience and she was smiling from ear to ear with excitement. “This is an amazing thing to happen for students – people don’t realize how much more convenient their commute will be now…”. We interrupted her to say we were very aware of the benefits and the potential to sleep in longer in the morning and we both laughed. She remembered back to the opening of the Don Mills line and said it was “eye-opening and exciting then, but this is an actual game changer.” We talked about how we hope for students to have a better and healthier study environment by being able to take away the stress of a difficult commute. Since the recent faculty strike – it was bound to be brought up – there has been some level of stress among students and faculty who are still fixated on what had occurred during the Fall semester. Personally, along with the other PRCC students, we believe focusing on the positives is the best way to get through this stressful time of year. With this extension opening officially, you can now sleep in for a little bit longer, you can avoid the snow and there is a greater chance of seeing dogs on the subway… the list goes on! We are excited for students to be given the opportunity to move forward and get #BackOnTrack with the new subway expansion official launch. 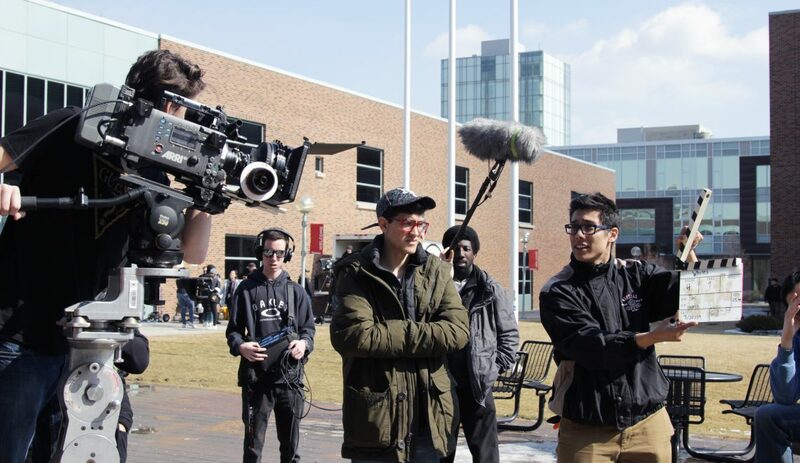 The grand opening was an amazing experience and we are so glad Seneca School of Media students were in attendance. 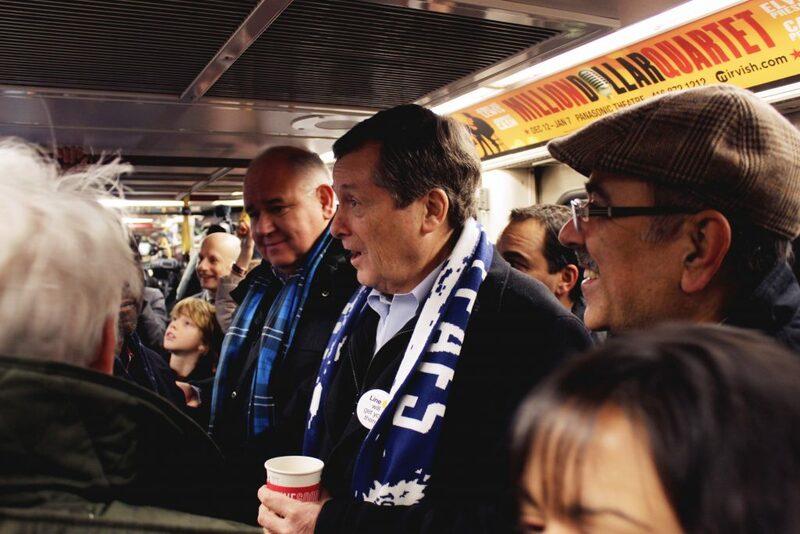 We got to experience our first real scrum with the attendance of Mayor John Tory and boy was it something! To get a good view, Jeremy had to put Jazmin on his shoulders to snap the best pictures possible and thankfully it paid off! Nothing but positivity was radiating from the media and the Mayor himself discussing all the benefits this new expansion can offer to TTC commuters. Jazmin and Jeremy, pictured on the left, are going the extra mile to get the perfect photo of a real-life scrum. 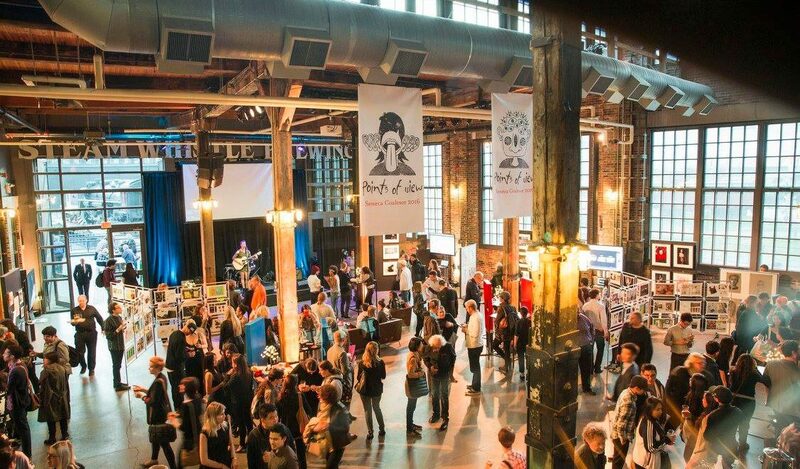 The result was being featured in John Tory’s Twitter photoshoot, shown on the right. Seneca media students even posed with the mayor himself, shown underneath. As students, our lives are stressful as is with the rush in the morning and constantly worrying about your commute time being up there in the ranks. With the elimination of this concern and worry, we are hoping students can focus easier on school and are allowed the beautiful gift of time that most people do not have currently. The Public Relations students were so thankful for the real-world experience offered by this event. We prepared a media advisory, reached out to media outlets, prepared a campaign and were provided the opportunity to put academic activity into real-life practice. Overall, the tone for the day was grateful! 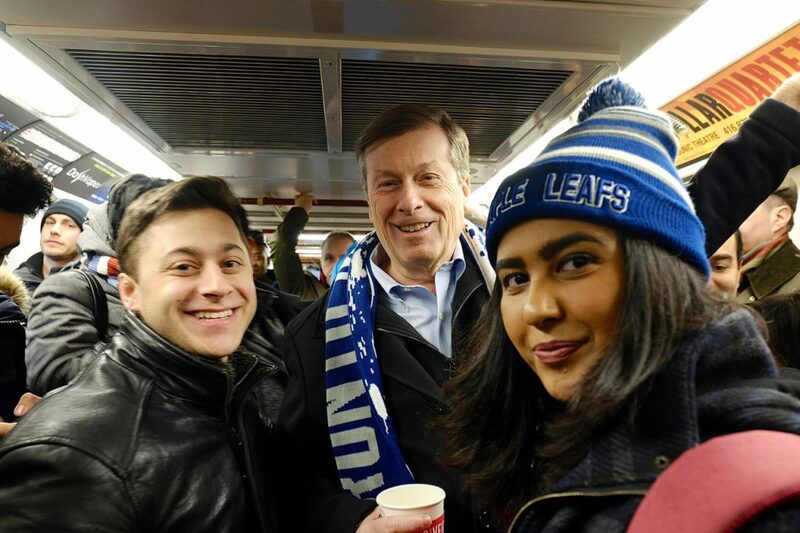 People were so excited, to not only be a part of history with riding the first subway of the official launch, but to also have an easier commute to Seneca College and YorkU. As a fellow PRCC student put it, “I didn’t even realize how much I needed this subway to open – now I can get an extra 30 minutes of sleep each day”. That sounds like a MAJOR advantage to us. As students, we’re excited to move forward from the looming strike and to get #BackOnTrack with a more convenient and efficient commute. @JazzHoldway is a current Public Relations-Corporate Communication post-graduate student at Seneca College, with a Bachelor of Commerce, Human Resource Management from the University of Guelph. 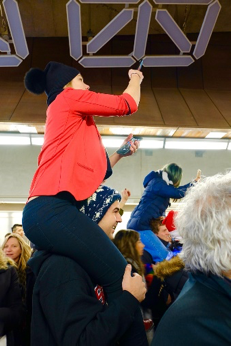 She is an avid subway commuter that enjoys the entertainment value the transit system and users provide. Jazmin is excited for six more stops of fun. 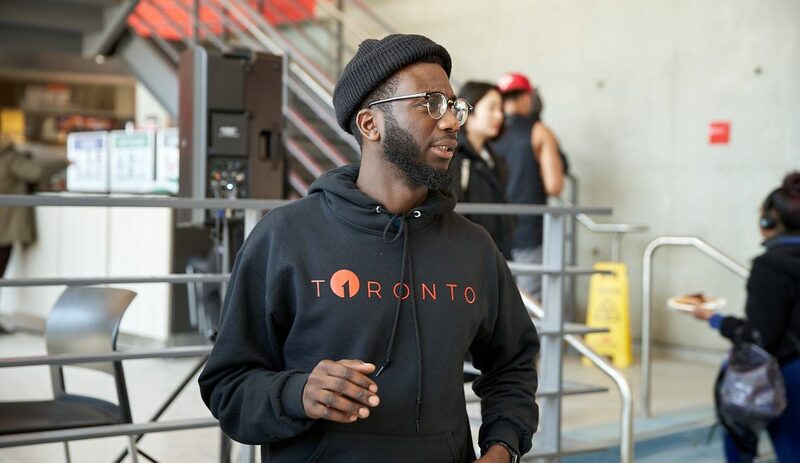 @jeremyhouston_ is a current Public Relations-Corporate Communication post-graduate student at Seneca College, with a Bachelor of Arts in Communication, Media, and Film from the University of Windsor. 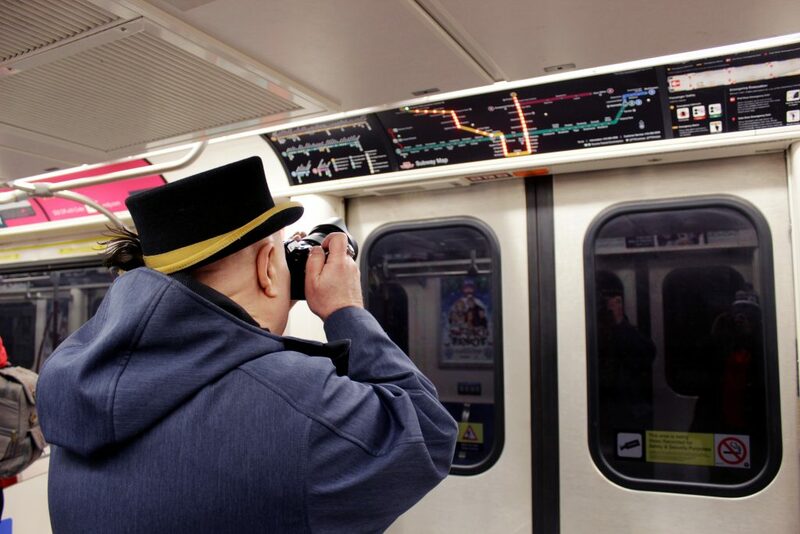 He loves everything to do with Subway, from the sandwiches to the transit rides. He’s looking forward to enjoying a cold cut combo on Italian herbs and cheese while having a much more convenient commute.